Click on the Play Button! These short ads keep all our games free to play... Thanks for your support! 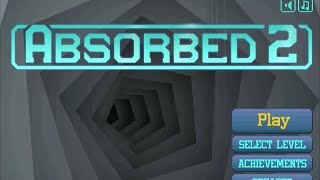 After a failed experiment, you have been abducted by a portal that transported you to another dimension! Use the cannon to absorb and move objects around and try to find a way back to your world. Have fun! This fun game will take you to outer space! You'll have to help our hero, Jellydad, rescue his family. They have been kidnapped by evil alien pirates. Enjoy! Help the cat reach the chicken leg across the game screen. Control graviy, jump on the platforms and try not to fall! It's time to laugh in the face of gravity! Jump, run, throw boxes to reach high places and try to survive in this platformer. Have fun! Help Rico rescue his beloved Miko! Use the objects around to reach her. Plan your moves carefully and have fun! Take the purple creatures to the exit! Start with simple stages that will get harder and harder. Jump, collect stars and make these guys help one another so that they can make it to the door. Have fun! Use logic to cover this orange face with the objects you're given. 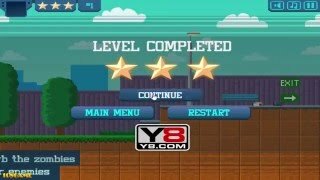 Try to beat all 20 levels and get a high score. These oranges need your help to find a shelter against the rain to come. Use the items in each stage to build a proper shelter for them! Duke Dashington is a clumsy explorer who ends up destroying all the ruins he finds. Fortunately, he's very fast, so he might have enough time to find a treasure before the last stone falls. Pay attention to your moves in each stage - you have 10 seconds to complete it! Enjoy this outer-space version! Find a way to protect the oranges from the rain - use your mouse to arrange objects on the platforms and prevent the fruits from sustaining any damage. Have fun! Enjoy this sequel! After a failed experiment, you were absorbed by a portal that took you to another dimension! Use a cannon to move objects around and try to find a way back. 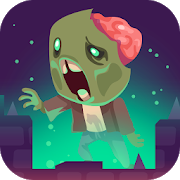 Avoid the dangerous zombies you'll face and have fun! Become a Commander and plunge into world naval history! The World of Warships fleet features over 200 ships, dating back to World War I and World War II. Put on your commander's cap, find out which warship type suits you, and amass a navy of your own. Choose the flag you want to sail under. In World of Warships, you can decide between the leading naval forces. Study their national peculiarities, weak and strong points, and use them in battle to develop your own tactics! Discover this amazing 3D battle royale in a pixel world! Choose your character and land on the city with no weapons -- start looking for resources before someone finds you! Be the last survivor standing and have fun!